The best windsurfing books of all time? Learning how to rig a sail, fine-tuning the art of luffing, uphauling, tacking and gibing, controlling speed, managing the water start and harnessing. From the basics of windsurfing to advanced sailing techniques, these windsurf books explored it all. "Learn Windsurfing in a Weekend" (1997, Phil Jones) focuses on learning how to windsurf. It provides everything from basic information to the refined techniques necessary to participate at a competitive level and it organizes each skill into manageable stages with clear goals. "Windsurfing: Basics and Funboard Techniques" (1985, Roger B. Jones) offers an introduction to the techniques of windsurfing, high performance tips, safety precautions and the rules of the road. 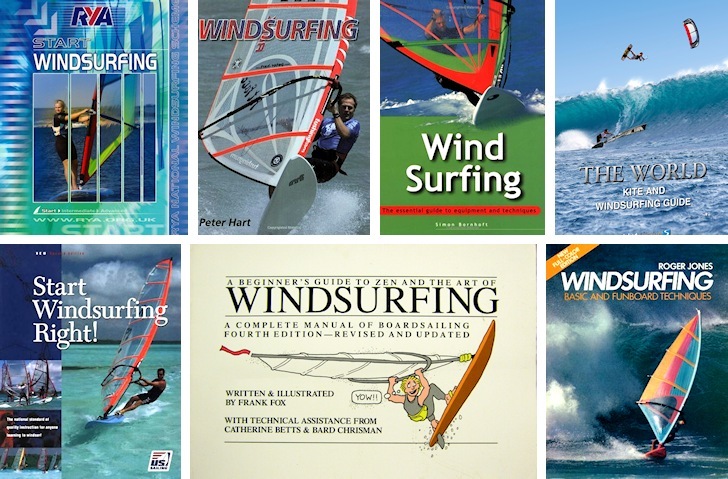 Discover all windsurfing books available in the market.